RASMUSSEN, Knud (1879-1933). Danish polar explorer. Called “The Father of Eskimology”. He was the first to cross the Northwest Passage by dog sled. His book: “Festens Gave” (The Gift of Festival). 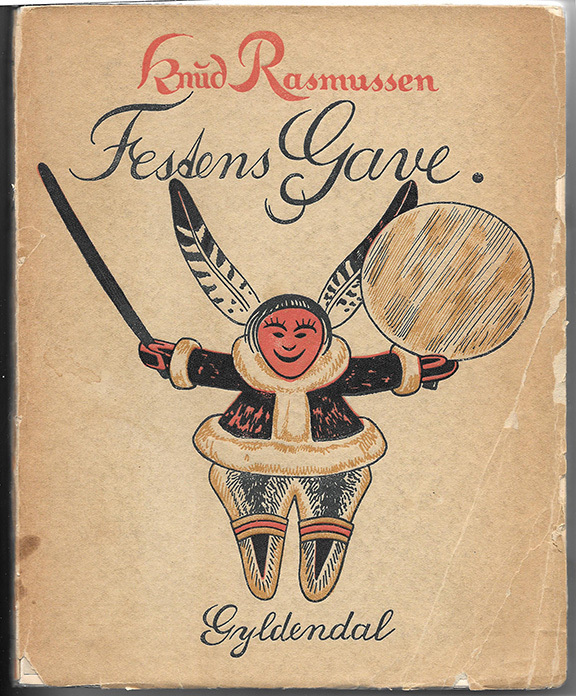 Gyldendalske, Kobenhavn, 1929, First Edition. Two hundred-five pages, illustrated. 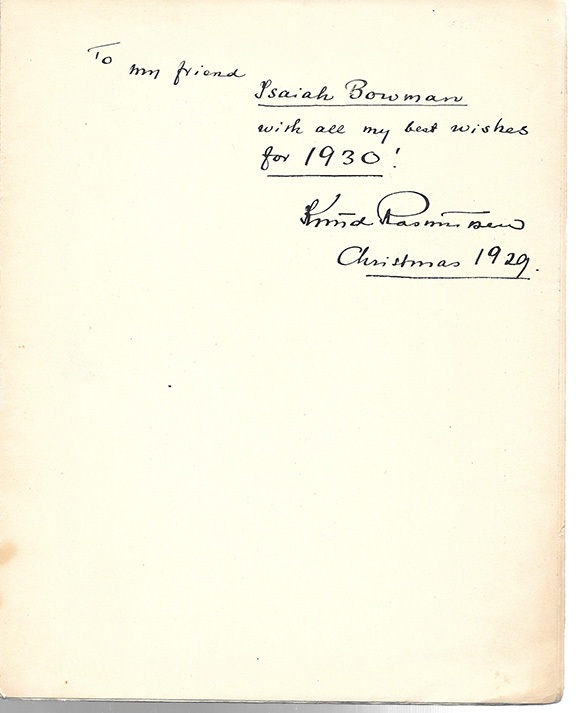 Inscribed, signed and dated: “To my friend Isaiah Bowman, with all my best wishes for 1930! Knud Rasmussen, Christmas, 1929”.